Do you love a good ghost story? If you do, you will really enjoy author James Willis’ presentation on Thursday, July 26 at 7:00 p.m. at the Orange Branch. 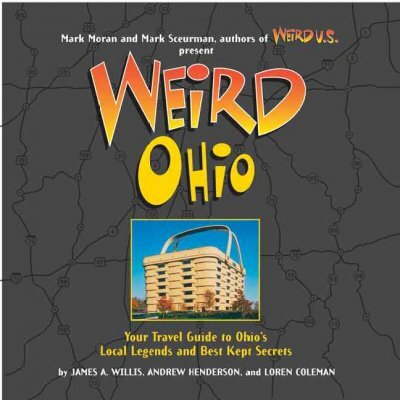 Willis’ book Weird Ohio features a collection of spooky, strange, and just-plain-weird sites. Willis traveled across the entire state, covering everything from headless motorcycle ghosts and crybaby bridges to the world’s largest cuckoo clock and buildings covered in gum. Join us at the Orange Branch Library as he recounts some of his favorite stories. Great programs for you and your family! The Library’s Summer Reading Program may be drawing to an end, but there are still some great programs for you and your family scheduled for next week. Monday July 23 Library Olympics Ages 6-8 2:00-3:00 p.m.
Tuesday, July 24 Chocolate Party! Teens 3:00 p.m. AND Hounds for Humanity Family Program at 7:00 p.m.
Wednesday, July 25 Mini Golf Ages 9-11 2:00-3:00 p.m.
Thursday, July 26 Cook Book Club Adults 7:00 p.m.
Monday, July 23 Gator Dave Family Program 6:30 p.m.
Tuesday, July 24 Book Discussion Adult 7:00 p.m.
Wednesday, July 25 Hounds for Humanity Ages 6-8 12:00-1:00 p.m.
Friday, July 27 Hounds for Humanity Ages 9-11 4:00-6:00 p.m.
Tuesday, July 24 Be Careful What You Wish For Reader’s Theater Ages 9-11 11:00 a.m.
Tuesday, July 24 Book Discussion Adults 7:00 p.m.
Wednesday, July 25 Monsters @ Midnight Ages 6-8 1:00-2:00 p.m. AND Mr. Puppet Family Program at 6:30 p.m.
Thursday, July 26 Tee Teens Teen program 7:00 p.m.
Monday, July 23 I Spy Ages 6-8 2:00-3:00 p.m.
Tuesday, July 24 Ohio Nature Education Family Program 6:30 p.m.
Wednesday, July 25 Guinness Book of World Records Ages 9-11 2:00-3:00 p.m.
Wednesday, July 25 Book Discussion Adult 7:00 p.m.
Thursday, July 26 Sewing Basics Workshop Teens 2:00 p.m.
Thursday, July 26 Weird Ohio Author Program Adults 7:00 p.m. Details about each of these programs is on the Library’s web site. Hope to see you there! The Delaware County District Library will close at 5:00 p.m. on Tuesday, July 3, 2012, and reopen on Thursday, July 5, 2012 at 9:00 a.m. 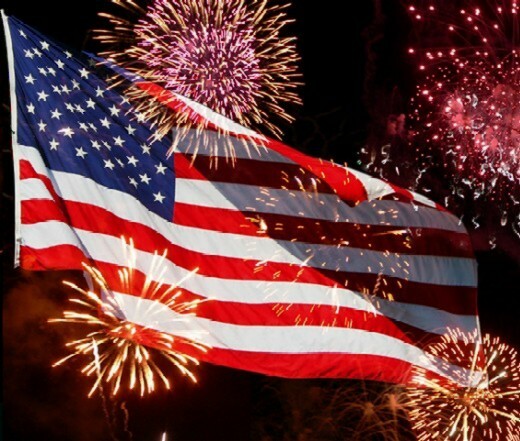 Happy Fourth of July from the Board and Staff of the Library!